On March 6th, the Hasselblad Foundation presented Japanese photographer Miyako Ishiuchi with its 2014 annual Hasselblad Award. In conjunction with the award, an exhibition of Ishiuchi’s work curated by Dragana Vjuanovic and Louise Wolpers of the Hasselblad Foundation will open on November 7th at the Gothenburg Museum of Art, Sweden. The curators will also edit an accompanying publication, which will include essays by Dr Lena Fritsch, assistant curator at the Tate Modern, and Christopher Phillips, curator at ICP. Ishiuchi, who has spent the past 40 years pursuing a photographic vision that explores time and surface filtered through memory, is among only a handful of well-known female photographers from Japan’s postwar scene of the 1970s/80s. Born in 1947, Ishiuchi was raised in Yokosuka, a city southwest of Tokyo with a large American naval presence since the late 1940s. Often devoid of people, her images of fortified military buildings, streets and social clubs possess a quiet power and are containers for Ishiuchi’s highly personal childhood memories of place. They also speak to a sense of loss and resentment that is reflective of a national sentiment towards the continued postwar American militarization in Japan. In 1977 I photographed the town where I formerly lived…At the time I knew nothing about photography…but there was only a fervor that I could not place, as well as a certain acuteness that had grown on me, so I walked these streets once more, as if to reconfirm the hurt that I could not help but recollect with such sharpness…The photographs, with memories smeared starkly into each and every grain in the texture, where combined with the characteristic strength of ignorance (Yokosuka Again 64). Her first three books are considered a loose trilogy arising from her haunted childhood memories of Yokosuka. 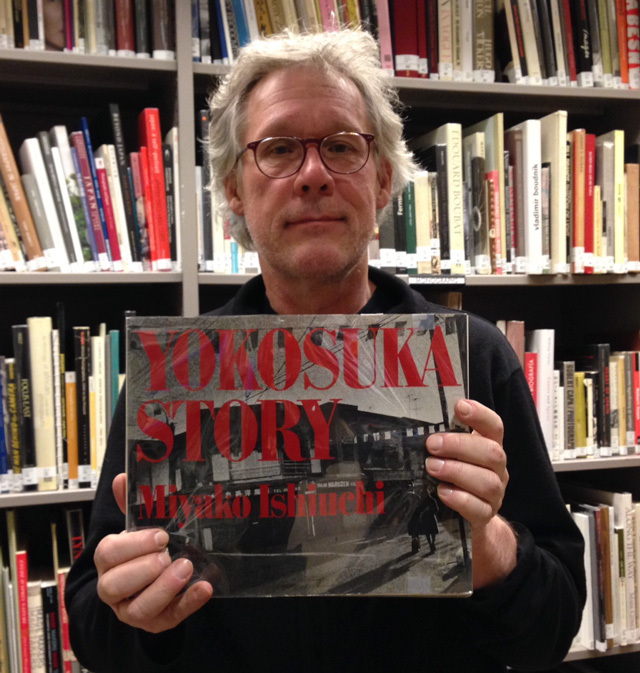 The ICP Library has copies of all three in its rare book section: Apartment (1978), Yokosuka Story (1979), and Endless Night (1981). Later works address the passing of time through its imprint on our physical bodies. In 1•9•4•7 (1990), a photobook titled from Ishiuchi’s birth year, she presents images of the hands and feet from woman also born in the same year. In Hiroshima (2008), Ishiuchi photographed the clothing remnants worn by atomic bomb victims. Spread out like corpses on an autopsy table, these stark images document horrific tragedy through a quiet beauty. Other books that speak to time’s mark on our bodies are: 1906: To the Skin (1994), Nail (2000) and Scar (2005). Ishiuchi has a long association with the International Center of Photography; with her first exposure to American audiences in a 1979 ICP group show Japan: A Self-Portrait. More recently, her work was included in Dress Code: The Third ICP Triennial of Photography and Video (2010). 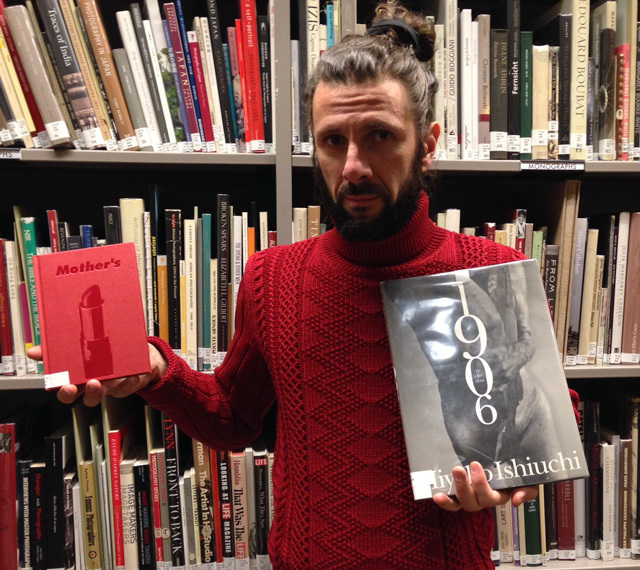 As a result of this 35-year history, the ICP Library has an extensive collection of Ishiuchi’s photobooks. 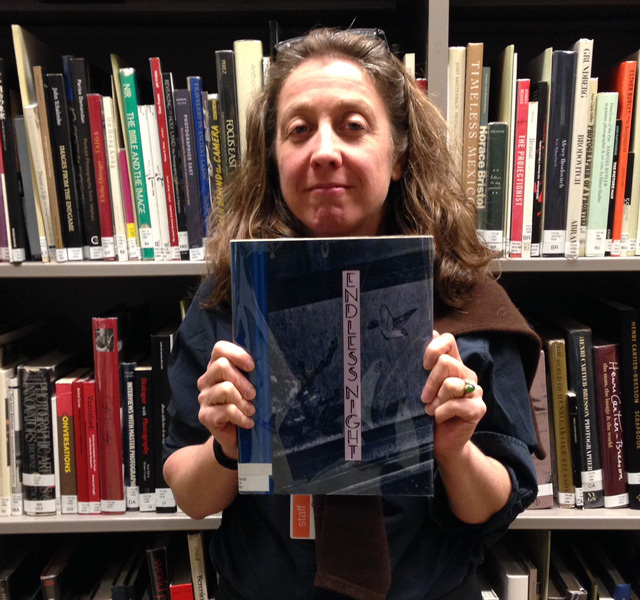 Listed below is the complete catalogue of photobooks by Miyako Ishiuchi available for viewing at the library. We invite you to come by and spend some time with them. 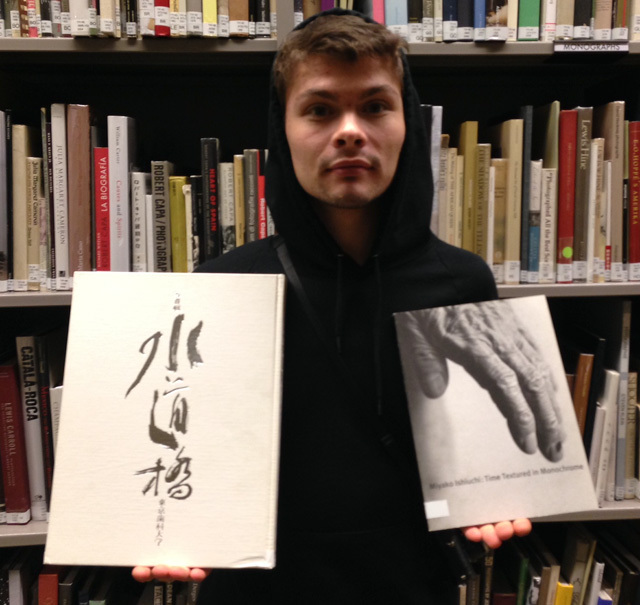 Pictured are ICP Library staff, friends and visitors holding up Miyako Ichiuchi’s photobooks. 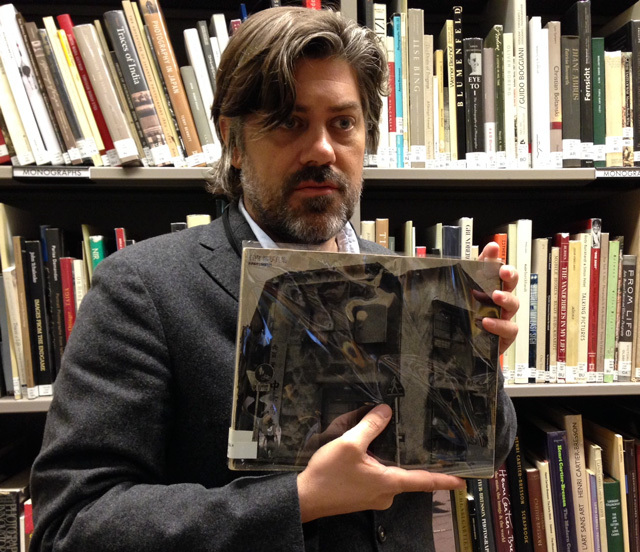 This entry was posted in Exhibitions, International, New Acquisitions, Scholarly News, Seen and heard, Unpacking the collection, Visual Research and tagged 1906: To the Skin, Apartment, Endless Night, Hasselblad, Hasselblad Award, Ishiuchi, Miyako Ishiuchi, Nail, Russet Lederman, Scar, Suidobashi, Yokosuka. Bookmark the permalink. I don’t think you will regret the effort. The experience will pay you back the cost of the subway ride. 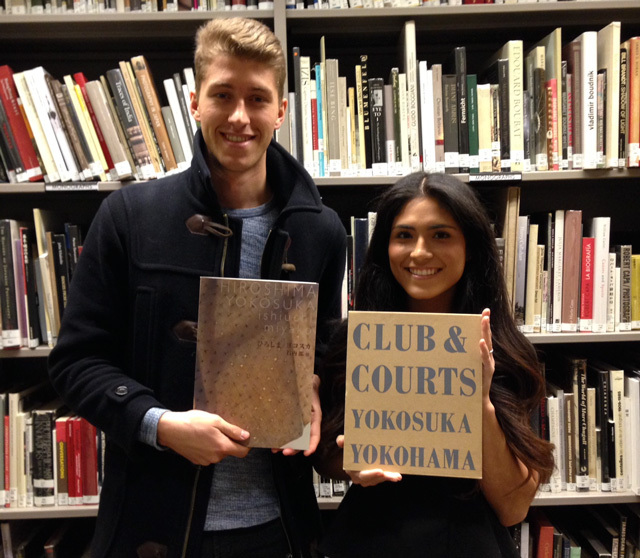 One of the first of many wonderful discoveries that I made in the ICP Library were those first books of hers. Now can someone please reprint them so I can put them on my own bookshelf?